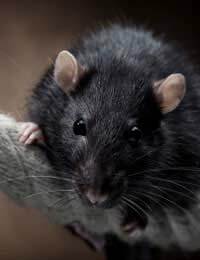 Of course, despite officially being a ‘rat man’ Bill wasn't only limited to exterminating troublesome rodents; his days and nights were spent on the trail of a range of other pests too, dealing with everything from wasps’ nests and ants, through to pigeons, starlings and, increasingly, urban foxes. Although he made his way up the ranks in what eventually became – to his noticeable amusement – known as the “Environmental Health Department”, he always preferred a hands-on approach, trying to keep up to date with developments in the field. He may be nearly 90, but there’s a definite spark in his eye as he remembers; the old rat man’s sense of humour certainly hasn’t deserted him.